Presentation and promotion of the cultural heritage of the German Land of North Rhine-Westphalia. Promotion of specific events organised during the North Rhine-Westphalia Cultural Season. 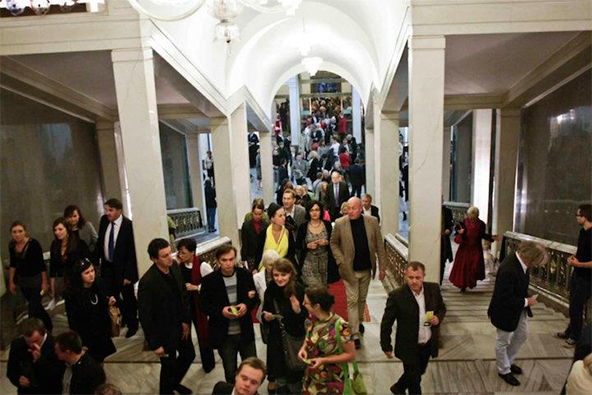 Co-organisation of the season opening concert at the National Opera. Production of advertising materials. Development of a communication strategy for the entire project; preparation of the concept of an editorial insert to the “Polityka” weekly on the culture of North Rhine-Westphalia; media relations and social media activities. Over 1,500 publications on the North Rhine-Westphalia Cultural Season. Increasing the positive perception of the Land in Poland and challenging its stereotypical image of an exclusively heavy industry area. Nationwide media coverage of both niche concerts of classical and industrial music, as well as opera shows and art exhibitions. Extensive regional media coverage of all the events. Dozens of thousands of participants at the events in several Polish cities. The advertising equivalent value of over PLN 2,000,000.